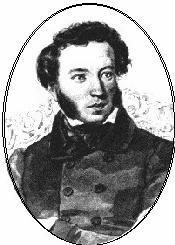 ﻿ Poetry Lovers' Page - Aleksandr Pushkin: "How Sweet It is..."
You are here: Home » Russian Poets » Aleksandr Pushkin » "How Sweet It is..."
ALEXANDR PUSHKIN: "How Sweet It is..."
To hear you, to caught your dear gaze!.. And talking, magical and full of inner blaze? And cursed my Eden in the flaming fervor.